You may think a covered box is a good idea because it gives the cat some privacy and also confines the litter odor inside the box. The truth is, a covered box isn’t cat-friendly. A covered box often makes the cat feel confined. The covered box makes it more inconvenient for you to scoop on a regular basis (out of sight…out of mind). Covered boxes also create more odor because air doesn’t get in there to dry the soiled litter. My biggest complaint with a covered box is that it prevents the cat from having escape potential. In a multicat household this can be a crucial issue because a cat may avoid the box if he feels he’ll get ambushed while in there. 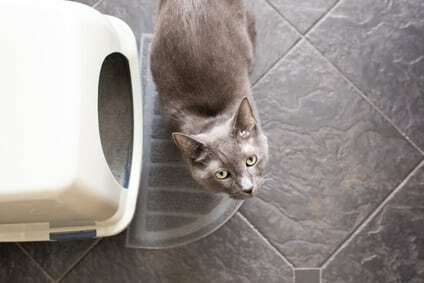 Don’t choose a litter box size based on where it conveniently will fit in a location. Choose a box based on the size of your cat. The box should be about 1 ½ times the length of your cat. 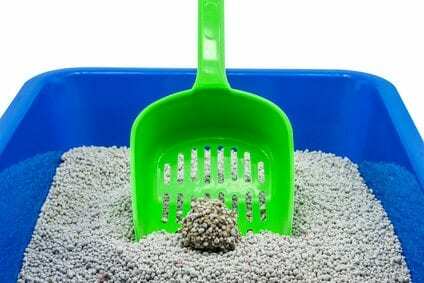 In multicat homes you should have the same number of litter boxes as you have cats plus one extra. 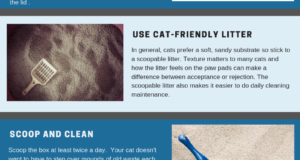 If there’s a litter box issue, then you really can’t avoid to skimp on the number of boxes. If you live with just one cat but you have a home with more than one level then there should be a box on each level. Location choice should be about convenience and security for the cat and not about what is convenient for the cat parent. 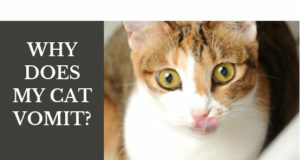 Don’t put the litter box near the food, in a damp basement, in a closet or near household appliances that may frighten the cat (such as the washing machine). In a multicat household, scatter boxes around the home and don’t have them lined up in one room. You don’t want a cat developing a litter box aversion problem because he’s afraid to cross the path of another cat in order to get into the one room where all the boxes are located. Place a box in each cat’s preferred area.